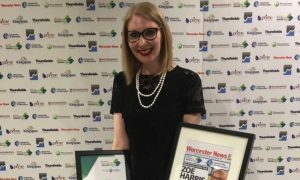 Our Learning, Outreach and Volunteering Officer Zoe Harris won Newcomer of the Year at Worcester News Worcestershire Educations Awards last night. The winners of Worcester News prestigious education awards were revealed at an awards ceremony last night at the University of Worcester’s Severn Campus. 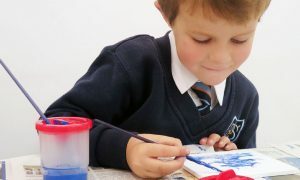 The awards celebrate the hard work being done by those in schools, nurseries and colleges as well in the wider community. 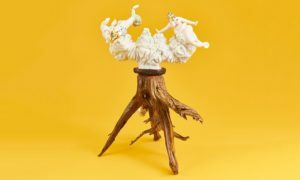 Hundreds of people were nominated for the twelve awards. Zoe is working on developing and delivering a programme of formal and informal learning opportunities for children and visiting families. 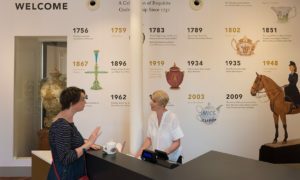 The trials of her programme have been a success and Zoe is incredibly passionate about making the history of Royal Worcester accessible and exciting to all children, and has worked incredibly hard to drive the project forward. The learning experiences she has created for Worcester’s schools are hugely creative, innovative and engaging. Her work here at the museum has already brought in new, younger audiences, who are enthused about their local history and are now eager to learn more. See Zoe’s programme by exploring our Education pages.